We all know by now the longer you wait to save and invest for retirement, the harder it is to catch up. But what should your annual savings targets be by the age? I have a take on that but I’ll defer my opinions until later in this post. 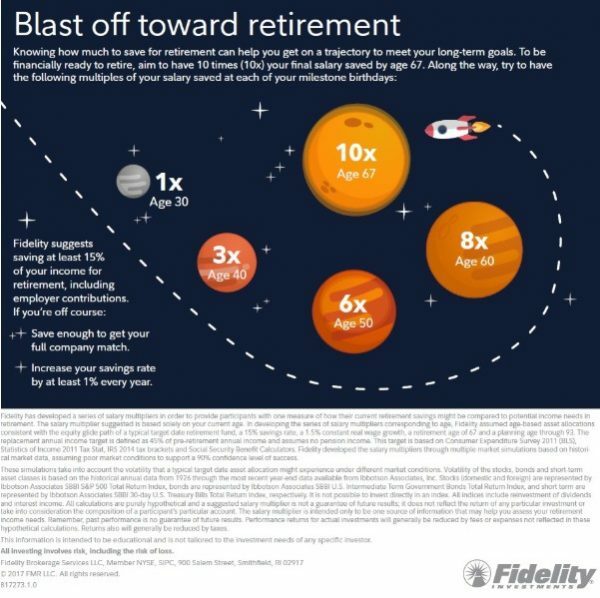 You should have x1 your annual salary saved up for retirement by age 30. You should have x3 your annual salary saved up for retirement by age 40. You should have x6 your annual salary saved up for retirement by age 50. You should have x8 your annual salary saved up for retirement by age 60. You should have x10 your annual salary saved up for retirement by age 67. These annual savings targets by certain ages are in addition to what Fidelity and many personal finance experts suggest: keeping 3-6 months of cash on hand for emergencies. On that note, this is how much we keep in our emergency fund and why. These Fidelity numbers above are U.S. targets. Is the math similar here in Canada? Kinda. Here in Canada though, we get detailed when it comes to how much is enough. According to an older Financial Post article I read, Canadians figure they need $756,000 to retire well at age 65. Even though “…up to 90 per cent (surveyed) don’t have a formal plan on how to get there…” that’s what we figure we need. The “Deluxe” version, couples or singles, assumes you’re buying new cars every few years and travelling abroad for multiple months per year, every year, for decades on end. Based on some calculations I’ve done for you, you can see how much your enough number might be here. There are also a number of case studies to check out on this page – folks that have been there, done that. Do you really need this much? Certainly anything higher than “Deluxe” in the bank at age 65 is a wildly large number unless you want to live like a rockstar. For 99.9999% of us it’s insane to assume you might need anything like $5 million to retire on like Suze Orman suggests. But as always when it comes to money stuff, including my own projections, the correct answer for everyone is: it depends. I believe it depends on what you will spend to help determine your enough number. So, sure, if you aspire for an upper-middle-class retirement at age 65, without any employer defined benefit or defined contribution pension plan, I think you’ll probably need about $500,000 to $1 M to retire well. Do I believe in any annual savings targets by a certain age then? I think you should actually throw most savings targets by the age out the window. This is largely because we’re all different. We all have different financial circumstances throughout our lives. We see and experience the world in different ways. Just because someone (including any personal finance expert) “says” you should have a certain amount of savings or net worth by a certain age – doesn’t mean you should. My advice to you is to never take any savings targets by the age too seriously. Don’t beat yourself up when you read this stuff. 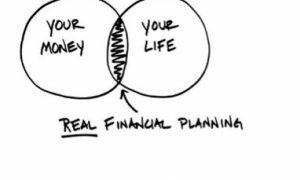 It’s your financial journey. Your mileage will always vary. In closing I’m glad we don’t take any annual savings targets by the age too seriously ourselves. We wouldn’t be where we are today if we always followed what other people thought our life should be. What do you make of any annual savings targets by the age reports? Do you believe in them? Do you care? What help do you need in determining your retirement enough number? 89 Responses to "Here’s your annual savings targets by the age"
geez mark, i don’t want to be average. 🙂 ok, how much should i have to have if i retired at 72 to be upper middle class? i’ve been retired for over 12 years now so how much should i have left. be optimistic and make me feel rich! lol. keep up the great work. No idea but if you can travel to the South for a few months, at age 72, you’re not “average” I suspect. You’ve done well Gary. Enjoy it! I admit when I saw the Fidelity graph I had a little panic attack until I kept reading further and calmed down. With only 18 days left to work (after 33 years) the emotional rollercoaster has started. Do I have enough saved and will my pension(s) be enough?? I never thought I’d need to work part time after retirement but you do what you might have to do. I expect the panic attacks will subside next month on the beach in Mexico. I would think a Mexican beach will reduce your stress. Enjoy Bonnie! Do update us on how it goes, we’re on the cusps of retirement so I’ve been asking retirees how they found the adjustment to living on less money. Biggest suuto me was, inspite of the lower income tney noticed very little in the way of lifestyle reduction! Feel free to answer those questions in the email I sent you – your case study will be very interesting for folks and readers can comment on your plans Rob. Best luck to your retirement, Bonnie. You will be enjoying your retirement for sure. I planned to retire in 4 years from now but due to some health problems and I am considering retiring before that, thus also a little bit panic now. Enjoy Mexico beach. We came back from there two months ago and certainly didn’t want to leave. Once again I agree with your summary-it depends and ymmv. At retirement fwiw (not much) we had approx 10x last 5 yrs avg salary, about 6x peak salaries 10-15 yrs before that. Plus one decent work pension. So not a linear path anyhow. The money sense chart #’s seem reasonable, but perhaps 10-15% low imho, perhaps reflecting inflation since being written. Retirement age probably has a large bearing on assets/income needed to fund varying years in retirement as shown. I would also suggest people have to consider taxes/net income if working out projections the self since all savings acccts and prob rates aren’t equal. Bonnie, good luck in your upcoming new phase of life! Well said about taxes. I think most people don’t consider the RRSP part of a government loan so not all the income nor assets inside the RRSP will be available to them. I think people need to do some number crunching far ahead of any tentative retirement date. I absolutely know what our “enough number” is (outside our pensions from work). Once we hit that goal and become debt free (that’s the other requirement) I know we’ll be OK to work part-time and really start enjoying semi-retirement. Thanks. Definitely on RRSPs and also to a lesser extent unregistered if it applies to some. Number crunching on taxes and on a strategy to decumulate is important for sure. After having gone through the savings stage and now nearly 5yrs into retirement I think people need to plan and think about an overall cash flow plan. They may have a mix of rrsps, unregistered, tfsas, pensions (and starting at various times of retirement). It’s figuring out how to put it all together, (what, when to draw from) to meet their needs and ideally wants over the long haul, at the lowest possible tax rates that is key, especially when you want to utilize some or all of capital too. I can touch type on regular keyboard -usually ok. Reply earlier was on ipad – terrible on that and with thumbs on phone. Absolutely cash flow is critical. I’ve learned that lesson well over the last decade, hence the financial journey is set up that way. 1. dividend income from non-reg. Ideally $20K per year. by age 50. (Just over $9K now). 2. RRSP withdrawals each year starting at age 50. Min. $15K per account withdrawn per year for 20 years. 3. part-time work/blog income/other part-time hobbies starting at age 50. Pick away at that for the “travel fund” for 10-15 years. Earn ideally >$20K per year. 4. Start x2 workplace pensions in our 60s+, probably age 60 or at the latest 65. 5. x2 CPP + x OAS in our 60s; likely start at age 65 for both once RRSPs are fully drained throughout our 50s. 6. x2 TFSA as insurance/additional income which will provide ~ $5K per year per account and can be withdrawn tax-free and only spend the dividends. I suspect our biggest challenge, although I don’t know for sure, will be the effective drawdown of our RRSPs prior to earning any income from our pensions. In early 2019, I’ll probably run some numbers and post more ideas on the site. Your blog and described plan is proof you’ve learned the lesson well. Plan seems very good. The amounts, order and timing etc will vary but having enough and having options is a great position to be in. It may continue to be a serious work in progress (fun/interesting though), which is what I find. how much/how long to feed TFSA & unregistered- probably at least 5 more yrs, maybe 10-15 for TFSA. This will be our lowest spending year (including tax) in retirement so far by a fair bit, so kind of going the opposite direction of what I expected. Have a couple of very big expenditures next yr planned so that will likely change, and maybe I’ll be a little more bold on RRSP withdrawals or maybe I should be for ’18. Are you using an emergency fund/cash savings for major expenditures or withdrawals (i.e., RRSP) to manage that? Curious since I keep coming back to the need for ~ $50K in cash savings as part of our semi-retirement cash wedge and I’m optimistic that is enough. I’m still undecided on starting CCP at 60 vs waiting until 65. Current projections, my own and a fee only financial planner, show a crossover point between 82 and 84, assuming a 5% return on investments and an inflation rate of 2%. The crossover point is where our net worth is the same (within about $20K), however, prior to that crossover point our net worth is higher if we start CPP at age 60. As we have kids, leaving more for them is important (if we die early). The other thing I need to look at is what happens to CCP when one of us dies; I’m not yet up to speed on what happens to the CCP payments of the deceased spouse. Interesting details Bob. I guess my burning question would be “do you need the money”? if age 65 or more; then 60% of contributor’s retirement pension, if the surviving spouse or common-law partner is not receiving other CPP benefits. I think Service Canada has more details for you Bob. Cheers. I of course mean “CPP” where I have typed “CCP”. Thank you Mark for your thoughts on our current planning dilemma. In response to the question you raised, the answer is “No”, we don’t need the CPP income at age 60 as we will have income from a DB Plan and RRSP’s. The safest thing for sure is clearly to wait until at least age 65 when we can draw it without paying a penalty. The added inflation protection on more of our retirement income is a real plus too. Very smart stuff Bob – re: inflation protection and more income. You’ve thought this one through well. You could coach others! The old adage “if I knew then what I know now” comes into play with topics such as these. I think back to when I was but a lad and watched the old man use RRSPs. I didn’t really know why, I sure as heck didn’t know how, and the odds of me at 19 learning about retirement was slim to nil and Nil had left town. But luckily, I started saving at 19 in RRSPs anyways. Ya they were just GICs, but I recall the first year I “bought” them I split it up into two, $1000 GICs earning 13 and 14 percent. Stock market investing was out of the question as I knew nothing, literally nothing, about it. It wasn’t until I heard about Tradex that I even considered it. Now, a person can get more information and opportunities than they could possibly utilize. Throw in things like RESPs, TFSAs, RDSPs, ETFs, discount brokerages, blogs such as MOA and probably more I’ve forgotten about and a person has a stunning array of opportunities. Lack of knowledge is no longer a viable excuse. So true Lloyd re information, education, investment & acct. options, diy, low costs etc. I started RRSP at 22 when it was first time I had money to contribute. Same deal….my dad was doing it so I did too but with a bank balanced cdn mutual fund. But you certainly knew enough to pay yourself first and invest inside that RRSP, at 19, regardless of what you invested in (your case GICs). The fact that you started saving, and investing, I suspect created financial habits to last you a lifetime. Now you’re reaping those rewards. Hope you’re enjoying your weekend Lloyd – thanks for being a big fan. thanks rbull, i hope all is well with you too. with your knowledge of financial matters i’m sure your retirement will be great. Yep, alls well here Gary. We’re lucky so far in retirement. Hoping life keeps being good to us. Having been sole support of myself and my child since the age of 19, I didn’t have much saved. I didn’t own a home until my parents died and I bought a modest one with the equally modest inheritance I shared with my siblings. I did have debt in addition to the mortgage — not a disgusting amount, but it never seemed to go away. At 50 I found myself unemployed with no savings, a $50,000 mortgage, and about $40,000 in other debt that had accumulated. I retired at 66 with no mortgage, a 0% interest loan for a three-year old car I’d bought new, no other debts, $20,000 in shares that pay $1,000 a year in eligible Canadian dividends, and a $203,000 RRIF (from a defined contribution pension and RRSP). The pension is no longer near $200,000 but should last until my 80s. I’m not prepared to cash in the shares — that’s my ‘fun money’ twice a year. This was accomplished by saving hard — really hard. New to a pension fund at 51, I had been surprised and delighted when my pension fund statements starting showing how much it was earning all by itself — first time ever that I had money working for me. I noticed also that my new RRSP GICs and mutual funds were only growing because of I was buying more. 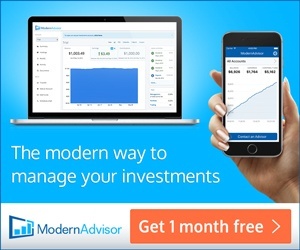 I didn’t know where to turn for advice — hey, the banks had me tied to the GICs and mutual funds and I certainly didn’t have enough for a financial adviser to be interested. After I retired and consolidated everything into a RRIF, I looked at the TFSA. I bought a Canadian book on easy investing and discovered Mark’s blog. In the 5 years I have been retired, I am almost at the maximum contribution allowed for a TFSA and I’m pulling in $2,500 in dividends a year. This is small potatoes to most who comment on this website but totally fantastic for me. As my pension starts to dwindle in my 80s, I expect to have enough dividend-paying stocks in my TFSA to offset the reduction at least a bit. I still have to make choices where any disposable income goes (a vacation or a new roof, etc.) and probably always will. All that said, I am thankful for where I am and all the advice I have received here. Pat, sorry for the delay in responding. Your comments made me smile. As long as you are meeting your goals Pat, who am I or anyone else to argue on that – that’s the key. Realize your own financial goals and meet your objectives – can’t get much better. I was surprised and thankful when i saw the chart that I’m on track in my late 40’s. my parents are retired for over 19 years and they’ve got only the cpp/oas and they get the oas supplement so all in total is about 30k for both and beside traveling which they never did the 30k covers for all they need thanks in part for having the place they live in with no mortgage or any other sort of debt , so yeah i believe from what i see that as long as your place paid off and you have no debt you can make it ( of course they’ve got no such thing as investments ) . so no need for millions and millions in your bank account as long as you’re content with your life , some people have billions and they’re miserable counting every penny they’ve got. that’s why i strongly believe that striking a balance between family work and time for vacations and hobbies is so important now and not 30 years from now , you’re barely guaranteed today never mind 30 years in the unknown. I wish i can share pictures in the blog here but i saw a picture on facebook of old couple in a gondola in Venice Italy with the tour guide and the couple are both napping while they’re on a tour and the comment underneath said like “this is what happens when you choose to enjoy life later on ” to me it’s so true . Are they getting close to full OAS and CPP Gus? If so, that’s about $15k per person before tax. Having no mortgage and no debts in any retirement certainly gives you options. Most Canadians that work until age 60 or 65, and have put away some money into their RRSPs to grow wealth over a period of 20-30 years, will largely be fine if they have no debt and no big spending plans. they get full OAS i think with supplement but not ccp specially dad because he worked only for about two years ( he was 63 when we immigrated ) as for mom she worked about 10 years so all in all they get about 1300$ each a month , for them with no car or travelling or any sort of debt it’s more then enough to live . No debt makes a HUGE difference in retirement. Debt + servicing costs = not paying yourself first or enjoying your life first! I am wondering all these numbers with Fidelity or MoneySense, are they invested assets or net assets? I think these are invested assets, before taxation and not net worth May. This therefore assumes this is money you can draw down, get taxed on, spend over time accordingly. I see. Depending on when you bought/upgrade your house, with the high housing price in Canada, it would be tougher for people to achieve those numbers. Our goal is $2.5M invested assets, but we want to retire before 60, and our current annual expense is around $100K. So looking at numbers from Money Sense, I feel we might still a little bit shy even if we achieve $2.5M. In the other hand, once the kids out of house, I expect the expense will be down a lot. So there is still hope I guess. May, and where you bought a house/live. Prices vary here a lot based on area but avg house price is $325k for greater region, so probably not considered expensive. A house I built 29.5 years ago cost me 190K. I sold 13 yrs later for 231K. Might be worth 425k now another 16+ years later. Low appreciation, and lower wages here. In the world here I’m not sure its harder for a young person to buy a house & save for retirement than what I experienced. Where you are – yes for sure. You have some lofty goals but I wouldn’t bet against you making them. 2.5M saved @60 for gross 100k income = 4.0% withdrawal rate; is slightly lower than the ~4.1% they used for 75K income with 1.83M saved. Plus you’ll have CPP & OAS at some point, income splitting. Using VPW @ 60 the withdrawal rate starts at 4.7% (and rises) for 60/40 portfolio to age 99 = ~ 2.1M. You’re the math wizard- better check my numbers! Thanks, RBull. I didn’t run the number in all details yet. I have only a roughly figure there, which is $2.5M. I would like to be able to retire once we achieve that number, hopefully, which will be not @60, but a few years before that. Once we decide to retire, then we need to run all the numbers in more details and have a thorough plan. No surprise May. I know you’ll have your homework done really well when you need to. “…2.5M saved @60 for gross 100k income = 4.0% withdrawal rate” would be outstanding. My wife and I will never have those kind of investable assets but that’s OK – we don’t need that much to retire/live the way we want. I suppose we might have that much if we worked full time to age 65 but that’s not for us whatsoever. This is why everyone is different…continued success to May and others! Mark, the big difference is that you and your wife have pensions. I figure it’s too late for me to get a new job with pensions. So I will just continue to try to save more. Yes, we do, but our jobs are unstable. That said we are fortunate to have x1 DB and x1 DC pension. We figure we need at least 4-5 more years of contribution in each to realize some of our goals. Indeed Mark. 2.5M is a great number. May I really hope you get there!! You may not reach that much in investable assets but IMHO you need to consider both the dc pension value and your db pension values that your family will have, which significantly changes your future cash flow. We don’t have have that much in investable assets either but with work pension value- slightly different story and I doubt that’s at all unique. That’s something not shown in the moneysense chart or Fidelity #, but must be considered – just typical govt benefits described. With or without Pension is really a game changer. Especially you don’t need to worry about the return of your investment will decrease in a bad year. Or dividends will be cut or disappear. That’s why we really want to defer our CPP and maybe OAS too as late as possible. Also in our 80s we might consider to buy some annuities. May, I see we were thinking the same thing. I was writing and didn’t see your post until after. Having a steady pension is a bonus but you’ll be way more than fine. I find if your basic needs and fixed costs are much less than overall available cash flow – wherever it comes from (dividends, interest, capital, pension etc) then you’ve got lots of flexibility by temporarily adjusting discretionary spending- (if needed). (What we did kind of by intuition this yr when returns were weakest). When CPP/OAS kick in there should be another big solid indexed boost. My wife is now 60 and has been collecting pension for over 6 yrs. I am 59. CPP/OAS dates TBD but as I said before leaning towards 70 for both, maybe OAS @ 65 for my wife to almost offset loss of pension “bridge” at that age. More time to draw down registered, indexed longevity insurance, no inheritance considerations. You are in a very good position. I assume It’s easy to cut the budget when you spend lots on travels every year. That’s also my plan. I want to travel more at least the first ten years after retirement. If we can still afford to spend same amount of money as now, I guess I will just spend the money saved with kids out of house on travelling. After all, my goal is having spent every penny when I die. I don’t plan for any inheritance for my kids although I will definitely support their higher education. We came to Canada quite late and still made a decent life here. I assume the kids should do better than us. If not, then something wrong with the way I raise them up I guess. Thanks May. True, about $24k/yr avg travel and we’re also spending less than VPW. FWIW, 2017 was our cheapest and this year much less- pension + estimated 28.5k less than income generated on assets, forget about capital -34K less than my revised conservative VPW and 42K less than the default VPW assumptions. So if we also want to die broke like your plan we might need to change that a bit. Been saying that for a few yrs now -easier to say than do. Will be very interesting to see how easy you find to spend all income plus capital. Retired on my 55th birthday. Same idea with plans to travel a lot until 70, maybe a little longer. Then after that would like to just go south somewhere and rent for 3-4 mths/yr as long as our health and finances hold out & if I can convince my wife to do this. Otherwise we live a modest life. It certainly seems you set a fine example for your children. Good luck on your journey. Oh I absolutely agree May. 20-somethings aspiring to buy a house these days are in for a shock. Having your $2.5M in invested assets, by age 60, would be nothing short of phenomenal May. Taking a very conservative 3.5% withdrawal rate that’s $87,500 per year, for life, and the capital continues to grow. You have CPP + OAS as well. I know very, very few retirees as couples that need anything close to $80-90K per year in retirement. If they do, they are really living it up with months of international travel, a paid off cottage + primary house, newer cars every 5-10 years, etc. That reminds me that I should calculate the government kids benefit for our income stream when I plan to retire. Hahaha, nice to get some money back after paying lots of tax for many years. Yes, I see where you are coming from with kids. All this to say, you’re doing to be set if you realize your goals. Good article Mark. I think the best thing a young person can understand is to set a Goal…any goal. Start with putting aside something. I think one good idea our new Ontario government came up with is to have schools give a financial course….after they scrapped the plan on controlling advisor fees (or something like that). Could be that the percentage of parents who educate their children on savings are those parents who have saved themselves. Too few! Enjoy your articles Mark, always informative. Also enjoy reading the comments. Kind words Paul – thanks for that. The savings plan chart can be both a tool and fool. The tool is a good idea to determine how much of a portfolio for the type of spending that you want but a fool stating that you must save by a certain age. Most people now go to post-secondary which will have significant student loans (for the average person) when they graduate, plus they may need to get a car for work, plus a wedding, plus trying to save up downpayment for a house plus save for retirement. It’s tough but key is definitely to start putting some savings aside after school just to get into the habit. While, I certainly didn’t meet the 1 x salary at 30 (started a small business that ate up my savings), I’m now 3x salary in mid-30s. Not too shabby but key was definitely to avoid lifestyle inflation. This chart should definitely be taken with a grain of salt! Very well done and kudos to your financial savvy. Great Article, I’m already retired at age 50. I’m on track, at age 50 I already have $370.000 saved. Will not need to touch this RRSP account until the age of 71, when I will be forced to convert into a RIFF account. Great to hear from you Al. To have enough assets whereby “…not need to touch this RRSP account until the age of 71…” seems to be a very, very good sign for you! TDDI actually did synthetic drip on ENB. Just received new shares today. I was happier with ENF, but I guess ENB is not too bad either. Surely happy it still drips. Nice! I suspected some brokerages will still honour their own synthetic DRIP for stocks even if some stocks do cancel their full DRIP via the stock transfer agents. Good to hear the update. Good to read May. Same here. I posted somewhere on here before that I called my broker RBCDI and they told me what the company (ENB) does with their drip program has nothing to do with the broker synthetic drip program. They go to the open market and buy shares with the dividend to drip for clients. My “guess” is same for all major brokers. I also note that the ENF/ENB conversion was settled differently than what some thought. Those owning shares at brokers are paid out for fractional shares in cash rather than the losing a partial share value if below 50%. I received ~$16.00 cash for my fraction. “Are you using an emergency fund/cash savings for major expenditures or withdrawals (i.e., RRSP) to manage that? Have nearly double that as “cash wedge” currently. Answer to question is both. Net RRSP withdrawals (still more to come in ’18 to stay on minimum plan) have been more than we’re spending so it grows, unless deployed to more equities or some moved in kind. In ’19 will likely just cut travel out to offset major expenditures. We’ll see. I think your 50K is a good target and I expect I’ll get closer to that in time. Truth is I don’t really pay much attention to the number since I view it in context of my overall FI amount. Probably not simply a true “cash wedge”. I think with your plan with RRSP withdrawals, some unregistered dividends you can easily adjust cash wedge. On the other hand if you’re generating reliable employment income that also feeds the beast and reduces need for emergency $. and BMO (don’t have) increased the dividend. NA (do have) tomorrow. 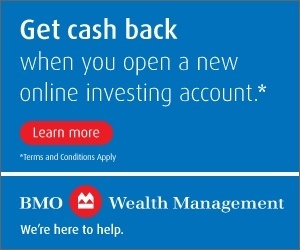 yep, BMO up to 1.00 from .96 annual. 8% overall in ’18. Very good results too. I like it. Yes, very nice with BMO today. Did NA increase again as well? They report tomorrow? Wasn’t planning to but added 60 BMO shares this afternoon just a bit above the low. Seemed like a reasonable opportunity? Wow, nice. I wish I had some cash to invest. Waiting until 2019 TFSA. BMO, BNS, TD, AQN on my list. Let’s hope even better opportunites are there in the coming weeks. TD and BNS are on my list as well as a number of others. Opening the taps a bit. 200 shares of both. Nice to have a raise. I’ve got over 1350 shares of NA. Not sure how that happened but it was when I was with an FA. It’s been a good holding. I’ve contemplated at times with selling half and buying BMO (only bank we don’t have) just to reduce the exposure but never pulled the trigger. Not sure if it accomplishes anything and why waste the $20 in fees so it just sits there. Thanks a bundle. Well done. I suspect you’ll see a $0.02 increase today. We’ll see! We own seven different banks and unless one of them cuts their dividend, likely always will. Buy and hold and reinvest all dividends paid for the coming years. Need to consider what CDN utilities I should buy for the TFSA in 2019. Nice. Again, I’m always very conservative on my site (“I suspect you’ll see a $0.02 increase today. We’ll see!”) Ha. Well done 🙂 We’re about the same with BMO – very little money added yet great gains thanks to dividend increases after the great financial crisis. A bit unrelated, does anyone know how to manage the tax consequences for the ENB-ENF aquisition? Since the ENF shares were traded for ENB shares, do we need to treat it as ENF shares sold in 2018, triggering a capital gain (or loss)? I need to update my ACB spreadsheet and not sure what to do. I didn’t find the Enbridge website very helpful. You can always contact their investor relations department. They can’t offer direct tax advice but they can likely inform you how the merger is treated. Thanks Mark. A great article by the way. I completely agree with you that each person’s situation is different. 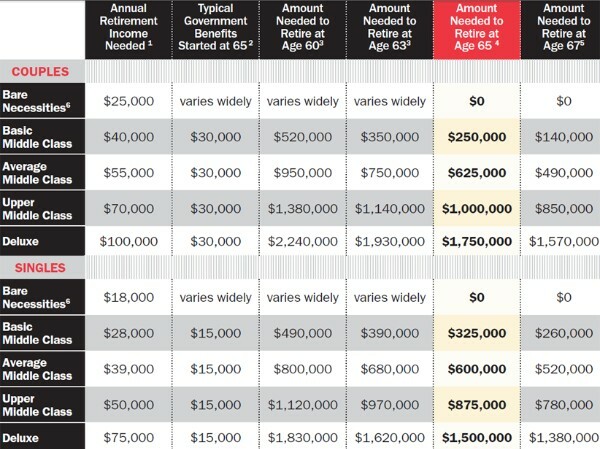 While the chart above provides a heads-up, nothing beats sitting down and doing a detailed income vs expense analysis. Thanks very much Vito. Let me know if you have any thoughts on what you’d like to see on the site. Happy to try and help/do some research. The US numbers are not relevant in a society with socialized medicine .Suzy Orman could be right but isn’t relevant. If you will need it , like really need it, defer as long as possible. If you don,t need it, take it earlier .Certainly if you are a male. CPP and old age pay the same if you are a male or a female. Equality. So if you trust the government’s actuaries( I do) ,the amount of benefit is based on a blend of the life expetancies of men and women, then averaged out.. But if you visit ANY old-folks home, you will see with your own eyes why men are fools to defer.Who cares if you get 30% more for 5 years.You will NEVER make up the shortfall.Take it early,. You will be actuarially getting a bonus. Women? obviously you should defer. You are being actuarilly deprived if you cash out early. Defering will get you many years extra of bonus amounts by doing so. Interesting comments Jean about the CPP and men and women longevity – thanks for sharing. A good observation but I had a different point of view. I took my CPP as early as possible because I did not need it and I contribute the money into my TFSA. When I need the money I can take it and all the dividend growth it has earned tax-free. So far, my TFSA has been maxed out every year since inception and it’s grown over 25%. I don’t think the federal government can match my growth so I’m not waiting. P.S. I’ve been investing for almost 35 years so I believe in the long term stable growth of the stock market. So far it’s worked for me. I am not a risky investor so, while I don’t make money fast I also don’t lose as mush as the average investor in a market downturn. You have to choose between rule 1 and rule 2 since you’re a female. Your reasoning has given me at least a partial reasoning for rule 1 which I admit is a little iffier in my mind (though I feel it works well in practice). BTW my wife also cashed early and we have all the money in a single account growing and continuing to be used NOW when it can be enjoyed , in the good retirement years , not the latter half where money is SOOO secondary. There’s another point I forgot. If you don’t need the money, you can save it, pay tax, and pass it on to children and grandchildren .CPP dies with you. Your deferral for higher monthly amounts should be used only if you will personally use it.And will also die with you. Fair point about CPP – you really “can’t take it with you”! I don’t have the math on that one but I think it was indirectly answered by Denise (above) . You will do better investing your money (since you don’t need it) than the guv is likely to (or give you credit for) . I tried a long time to get a straight answer from accountants, tax lawyers and the like on the “when to take CPP “question (if you don’t need the money you are likely in a full or partial clawback on OAP) and no one seemed to be able to articulate a meaningful test. I heard the ”if you don’t need it” test from someone in that group as a throwaway line and it seemed to work (since the market was going up significantly in the last years) . I can’t construct an algorithm to answer you , and it seems to me one should be reasonably possible. However , since revealing it would ruin someone’s hard work , I,m sure it’s in the Coca-Cola formula category of secrecy judging by the shrugs of the professionals. I think if we could all predict the future, for males and females, we would know the answer!